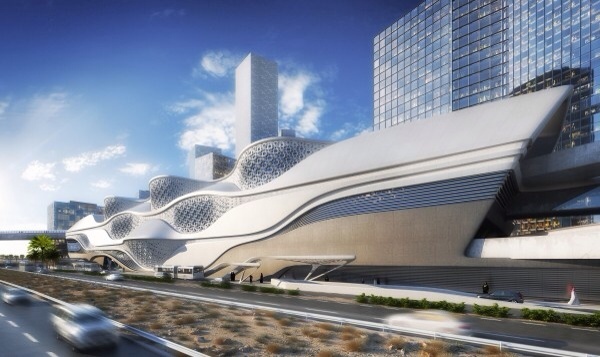 It is all over the news now that Zaha Hadid Architects have been commissioned by the ArRiyadh Development Authority to construct the new King Abdullah Financial District (KAFD) Metro Station in its capital city of Riyadh, Saudi Arabia. I don't really get the 'ship' idea but i am sure there is a valid reason. The interlacing structure and the lovely horizontally developed structure is her trademark and it's beautiful. This project should be realized by 2017 which is relatively little in time but apparently a condition set by the King personally. 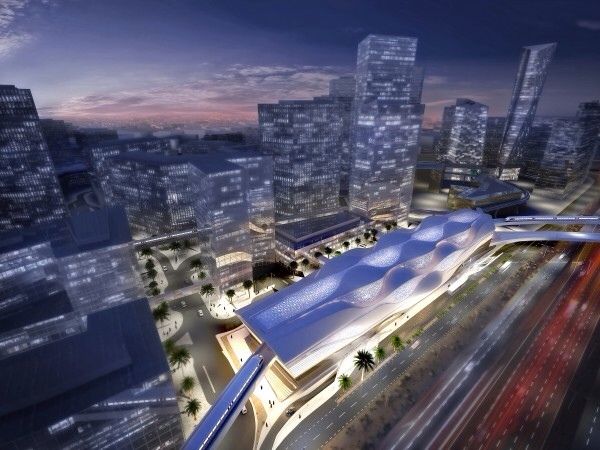 With six platforms over four public floors and two levels of underground car parking, the KAFD Metro Station will be integrated within the urban context of the financial district, while responding to the functional requirements for a multimodal transport centre and the district’s future vision. 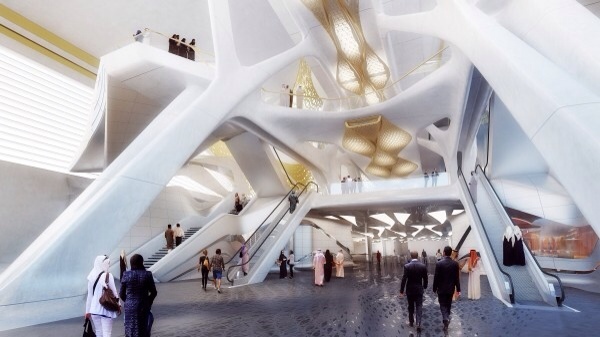 The project extends beyond the simple station typology to emphasize the building’s importance as a dynamic, multi-functional public space; not only an intermediate place perceived through quick transitions, but also a dramatic public space for the city. 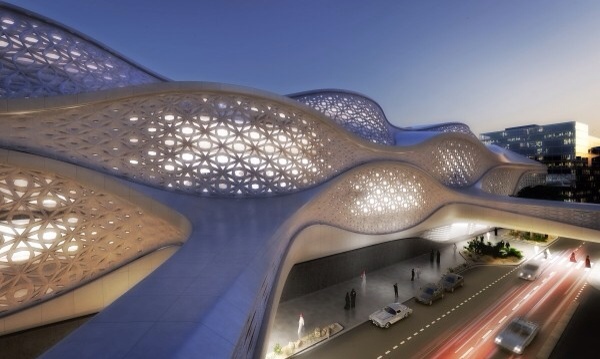 The waves also symbolize the bustling activity that will fill the station: Serving three new metro lines, as well as a monorail, the King Abdullah Financial District Metro Station will be handling thousands of people a day, especially since Riyadh has doubled in population to 5 million since 1990. 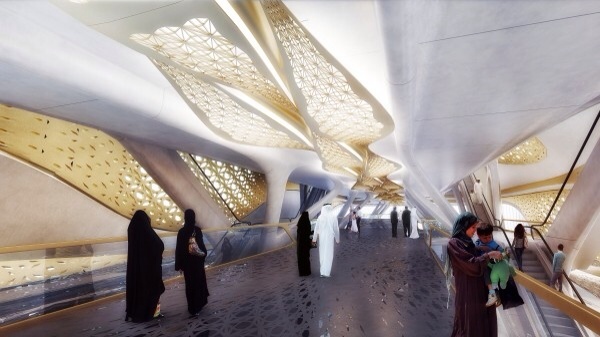 Perforated façade panels contextualize the station as well as provide much needed shading from solar gain, demonstrating that the screen trope for dealing with Middle Eastern situations is far from exhausted. 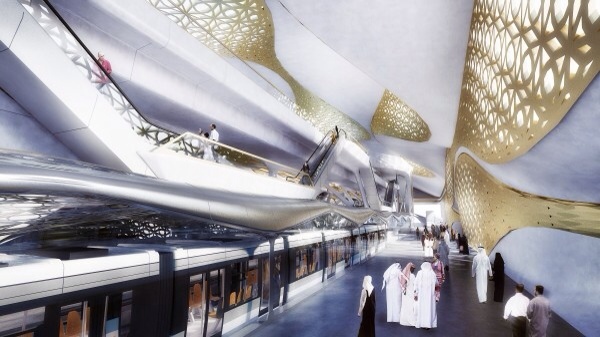 Since the station is near a busy highway, it makes sense that its exterior expression would be a bit hard, but the interiors are fully equipped with the typical sumptuous oil state décor of white and gold.